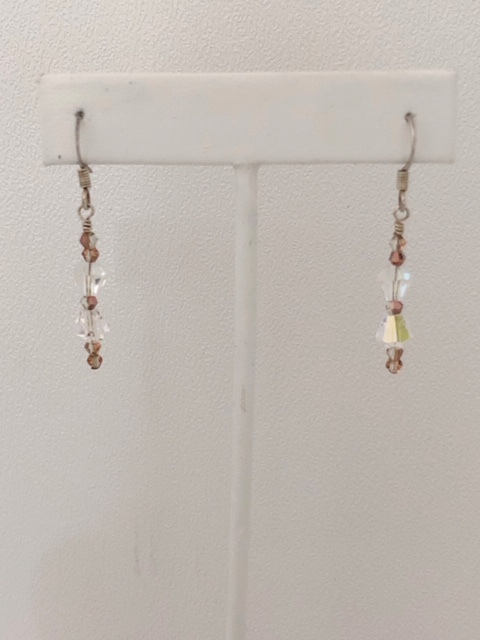 Silver plate flower earrings, boardered by rose Swarovski crystals. 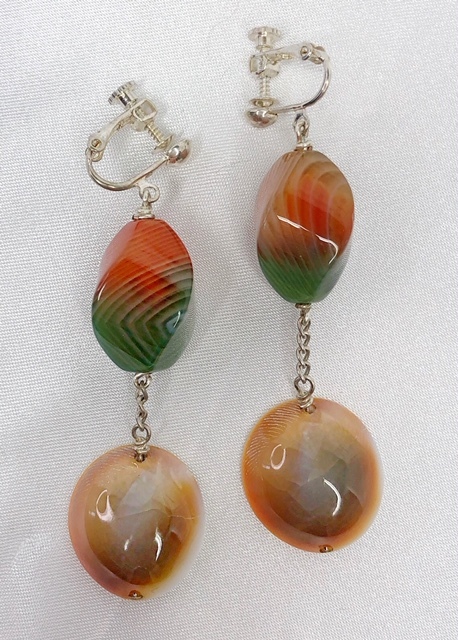 Perfect pair of light and airy earrings for summertime wear! 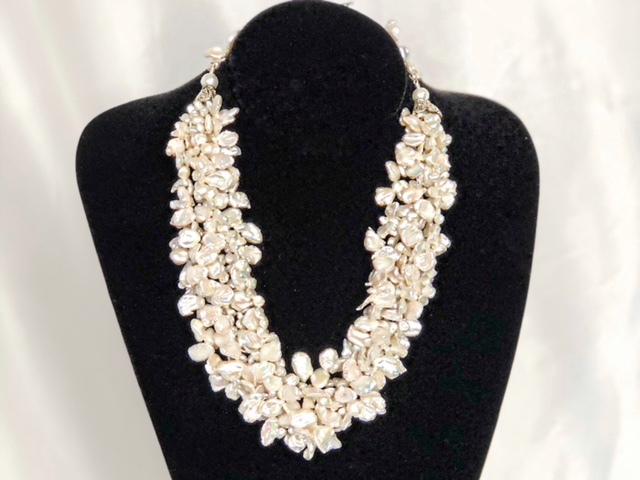 Howlite: A “tranquility stone”. Calms communication, enhances emotional expression and eliminates stress, rage and rudeness. Assists with the attainment of goals by encouraging ambition and eliminating hesitation. 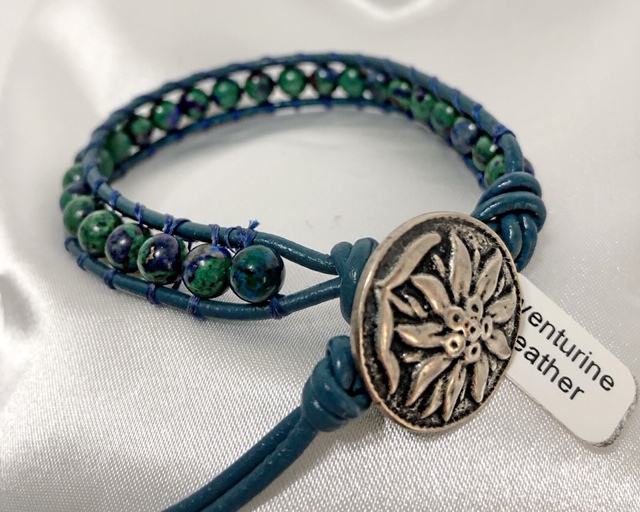 This bracelet is made of Aventurine wrapped in leather, topped-off with a silver button. Suitable for many occasions; with a Southwestern flair. A simple wrap bracelet made from coral, topped-off with a silver button. Suitable for many occasions with a Southwestern flair. Coral: Coral facilitates intuition, imagination, and visualization and strengthens understanding of mysticism. It alleviates depression, quiets the emotions and brings peace. It strengthens the connection to the harmonious energies of the universe. A look that never goes out of style – turquoise and leather. 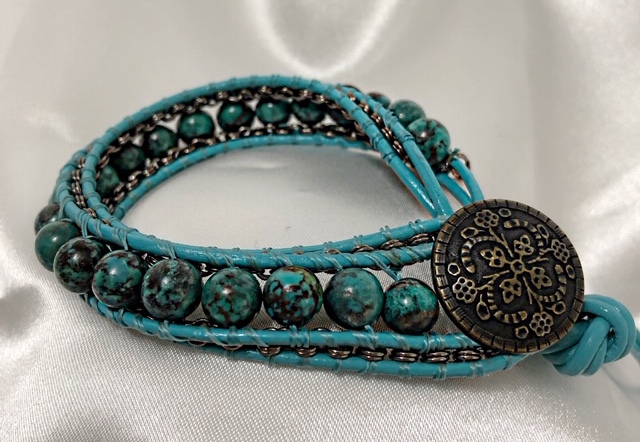 A simple bracelet with a southwestern flair, topped-off with a copper button. Suitable for many occasions. Copper: Is known as “The Healing Metal”. It is an excellent conductor of energy. Among its many attributes, it is said to conduct spiritual energy. Any stone with Copper, in or around it, is said to have enhanced properties. Copper is known as the lucky metal.